This report was submitted 2 months, 1 week ago. Check for fresh reports! A shortish, very beautiful ski today on 53 to P19 and back on 51 and 53. Although conditions were great, I have withheld a star for a couple of things. 1. 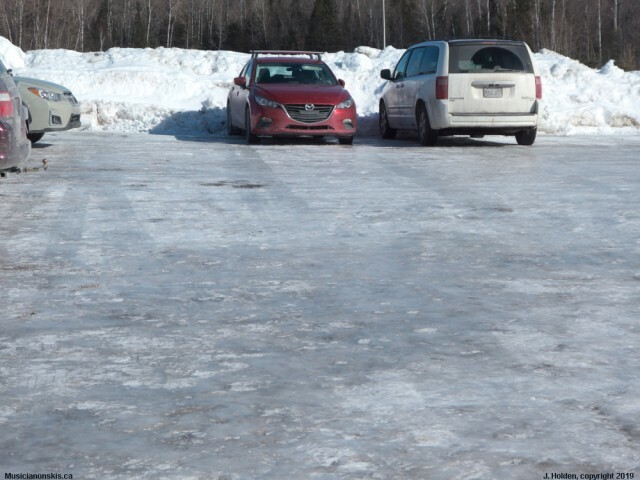 The shocking state of the parking lot - glare ice with absolutely no sand or grit applied. 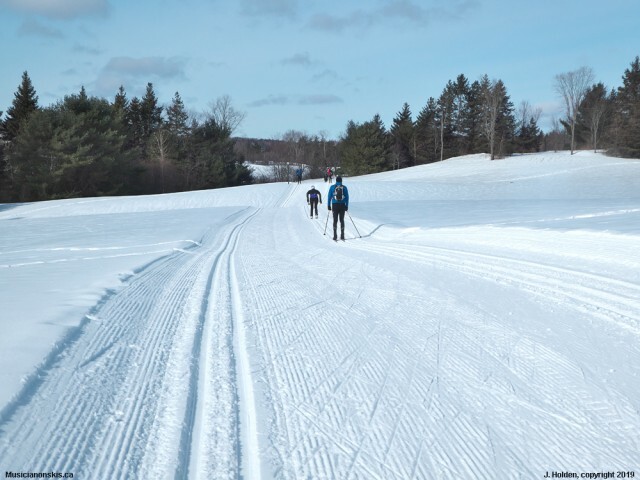 It was treacherous in ski boots, to say the least, and it was a relatively long walk to to the trail head as the parking lot was filled to capacity. A ski patroller phoned the office just before we began skiing, to report this, but two hours later it was still in the same shape. It was dangerous! 2. Debris and leaves were in evidence on most of the classic trails. This was somewhat surprising considering there was little wind today, but perhaps the grooming was done late yesterday. It wasn't a huge problem but I was inspired to jump in and out of the tracks more often than my skin ski compatriots. 3. Classic tracks were quite shallow. One extra oddity we noticed was that, despite large numbers of weekend skiers and perfect weather, there was no one to check for passes.